Olivia was always exceeding expectations and leaping towards the next exciting opportunity. Full of hopes and dreams for her future, she learned to play guitar so she could be in an “all girl band” and she was even considering becoming a foreign exchange student to experience all the world had to offer her. Active in sports and cheerleading, and full of energy and life, Olivia was the picture of perfect health…or so it seemed. 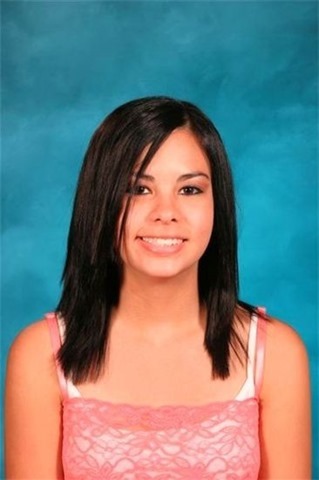 On April 12th, 2004, Olivia’s life and dreams for her future came to a tragic end. 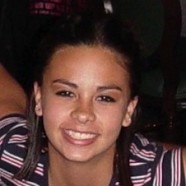 Olivia was only 14 years old when she died of Sudden Cardiac Arrest. Just about 2-3 weeks before Olivia’s passing, she began feeling lightheaded, with headaches and pain in her neck and left arm. Then one night Olivia came running out of her room in a panic. She was having trouble breathing and had a severe pain in her chest. I held her tightly and comforted her until she was able to calm down. I told her we were going to the doctor and that everything would be ok. When we finally got in to see the doctor, we told him about Olivia’s problems she’d been experiencing over the last few weeks. The doctor listened to Olivia’s heart, checked her blood pressure, and said everything was normal. He diagnosed the problem as “stress” and sent us on our way. Since Olivia was a freshman in high school and had a lot going on, I accepted the doctors diagnosis and we left with a plan to slow down for a while. We had no idea when we woke up on Easter Sunday of 2004 that that would be Olivia’s last day alive. I remember that day like it was yesterday, and what a wonderful day we had. It began with a family day at the park. Olivia looked so pretty; I can still see her smile. After the park we headed home and spent the evening all together watching movies. Around 10pm, I said goodnight since I had work the next morning. A few minutes after heading to bed, Olivia came in to say goodnight. She gave me a kiss and said “I love you mom. See you in the morning.” And off to bed she went. The next morning I followed my normal routine. I woke up and got ready for work, then headed to Olivia’s room to wake her up for school. I walked in her room and opened the blinds. “Olivia, it’s time to get up.” I looked at Olivia and saw her arm and leg hanging off the bed. I called to her again, “Olivia”, but she still didn’t respond. A horrifying fear and panic came rushing over me as I touched her…she wasn’t breathing. I began yelling her name; yelling for her to wake up! But she didn’t move. My son rushed into the room and tried to calm me down to dial 9-1-1. The 911 operator was giving me instructions to repeat to my son so he could try to help Olivia. He picked her up and gently put her on the floor as the operator instructed. Everything seemed so unreal. I just kept thinking…this can’t be happening…this can’t be real. But it was! The ambulance arrived and took Olivia to the hospital where we waited over an hour before they would let us see her. When we were finally taken to see her, there she was with all these tubes hooked up to her. How could this be happing to my baby girl? I touched her face, ran my fingers through her hair and told her “Olivia, you’ve got to be ok. Mommy can’t live without you.” But there was no response. For 3 days Olivia remained unresponsive while the doctors tried to figure out why this seemingly healthy 14 year old girl had suffered sudden cardiac arrest. During all the testing, Olivia’s heart stopped several times, and every time I would drop to the floor in tears. Finally the doctors had a diagnosis, Long QT Syndrome. What was this syndrome? And why didn’t I know she had it? And most importantly, why didn’t the doctor detect it when she was last seen? I just didn’t understand. My mind and body went numb, and I felt like I was lost in a fog. The doctors had Olivia airlifted to Children’s Hospital in Los Angeles, where she remained hooked up to breathing machines and all kinds of other tubes. They continued running test after test for the next 7 days. I felt so helpless. There was nothing I could do. The nurses would use suction to clear Olivia’s throat, each time causing her body to react and tears to roll down her face. I told the nurses they were hurting her and she was crying, but they said it was just a natural “gag reflex” and that she couldn’t feel anything. After 10 days of running test after test, the doctors told us that Olivia no longer showed any brain activity, and that her body was beginning to shut down. Now it was time to take my baby girl off of life support. No parent should ever be faced with this decision, but here we were. We knew Olivia was already gone, and we had to let her go. The nurses let me clean her up for the last time. I cleaned her the same way I did when she was a baby. I changed her and brushed her hair, kissing her perfectly polished “pink toes.” I told Olivia it was time to go home, and we watched as Olivia took her last breath. If only I had known, maybe Olivia would still be here today. I think about all the things she could have done and what she might have become if she would have lived. Though my daughters life was taken too soon, she left this world changing the lives of others. Olivia was an organ donor and was able to give the gift of life to three other people. Olivia’s right cornea went to a 4 year old girl in Maryland. Her left cornea went to a 29 year old man in Texas. And Olivia’s heart valves, which were still healthy, were implanted in a 2 year old boy. And as for me, now I am Olivia’s voice and I have committed myself to raising awareness about Sudden Cardiac Arrest in youth. Please visit Olivia’s Memorial website and a light a candle; keep Olivia’s light shining. Thank you.